Need a little support for your new router table top? INCRA’s Router Table Stands provide a rock solid base to build on. Constructed of hard anodized aluminum and "armor plated" powder coat heavy gauge steel for years of durable performance in your workshop. 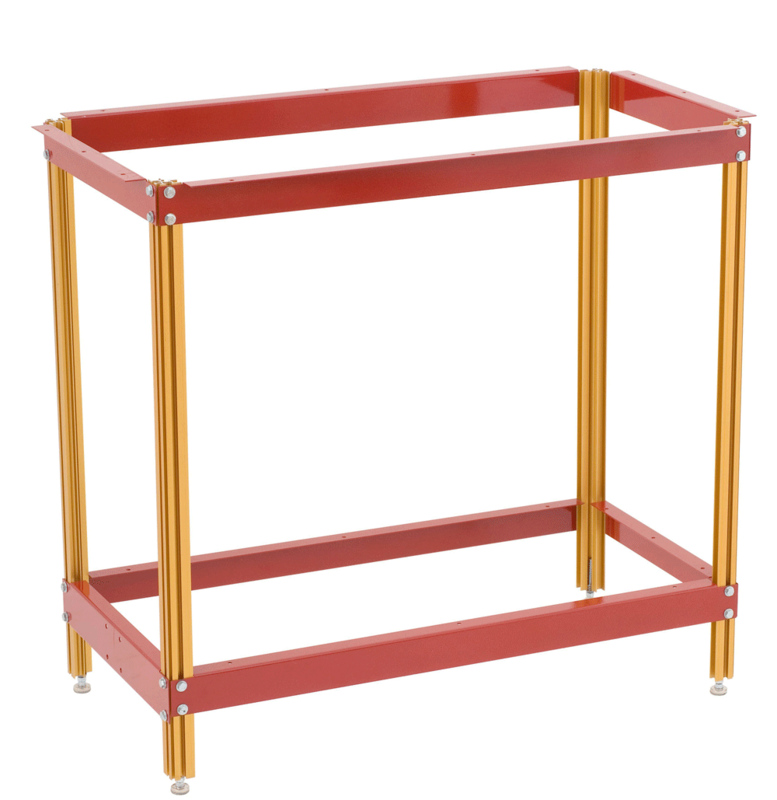 T-Slotted Aluminum legs permit easy assembly and allow for positioning of the optional shelf supports at any height. Great for creating a shelf at a comfortable level. 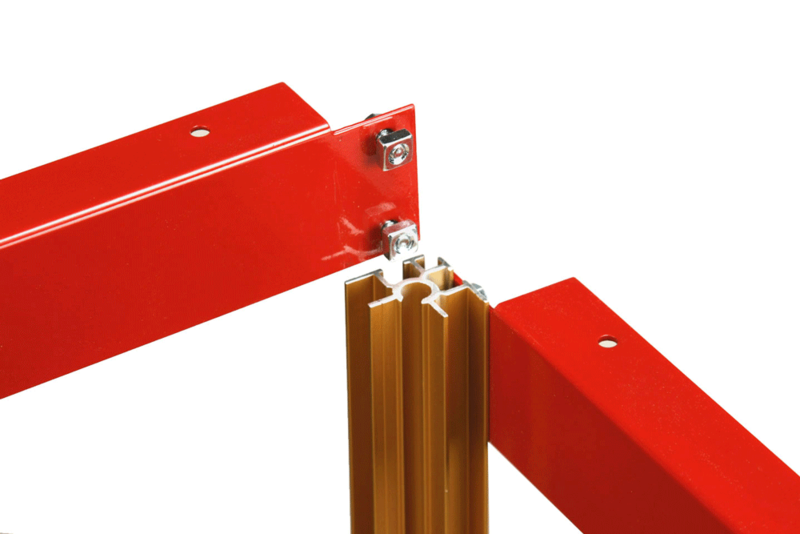 Non-skid leg levelers for vertical height adjustability from 34-1/2" to 36-1/2". Need a cabinet for your router station? No problem with INCRA's innovative leg design. Just slide 1/2" panels into the channel on each leg to easily enclose the stand. Create the ultimate dust collection enclosure in minutes. 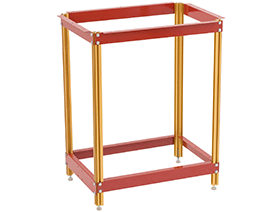 INCRA's Router Table Stand is available in 2 sizes. any standard router table top including INCRA's 24 x 32 Center Mount Table and 24 x 36 Offset Table. 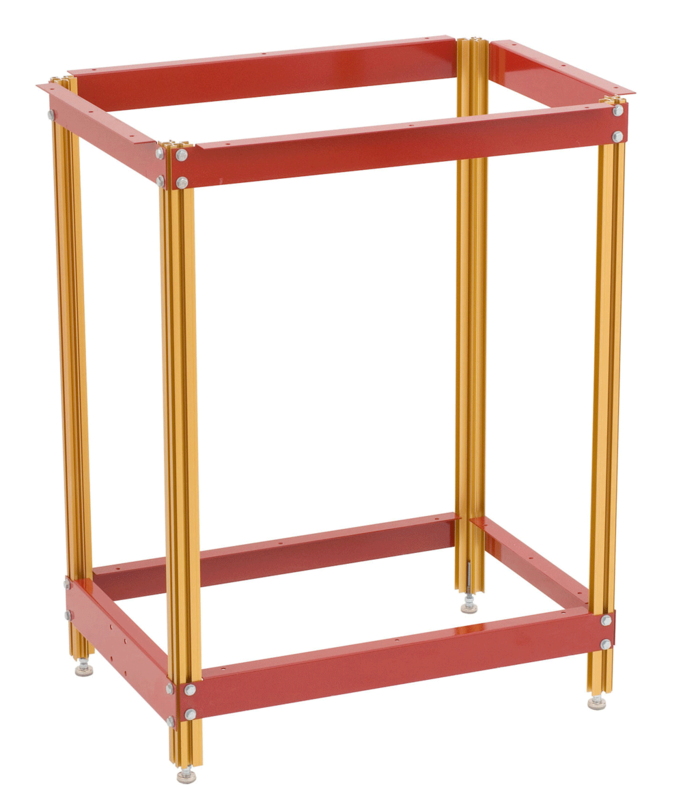 The larger RTSTAND43 is the best choice for big table sizes like INCRA's 27 x 43 Offset Table. The optional wheel kit is a great small shop solution allowing for easy movement of the stand from one location to another. The larger RTSTAND43 is the best choice for big table sizes like INCRA's 27 x 43 Offset Table. These are the most innovative stands ever offered for sale! Everyone eventually wants a router table cabinet with doors, drawers, and downdraft-style dust collection, and these router table stands give you a big head start by serving as the supporting framework. 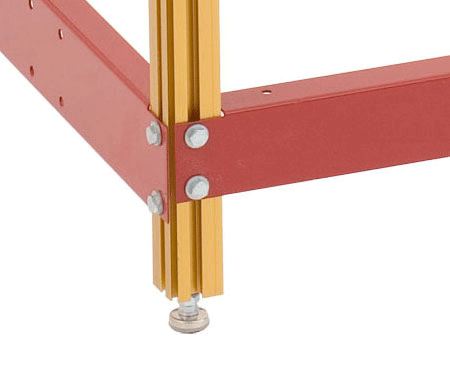 T-Slot leg design for easy assembly. 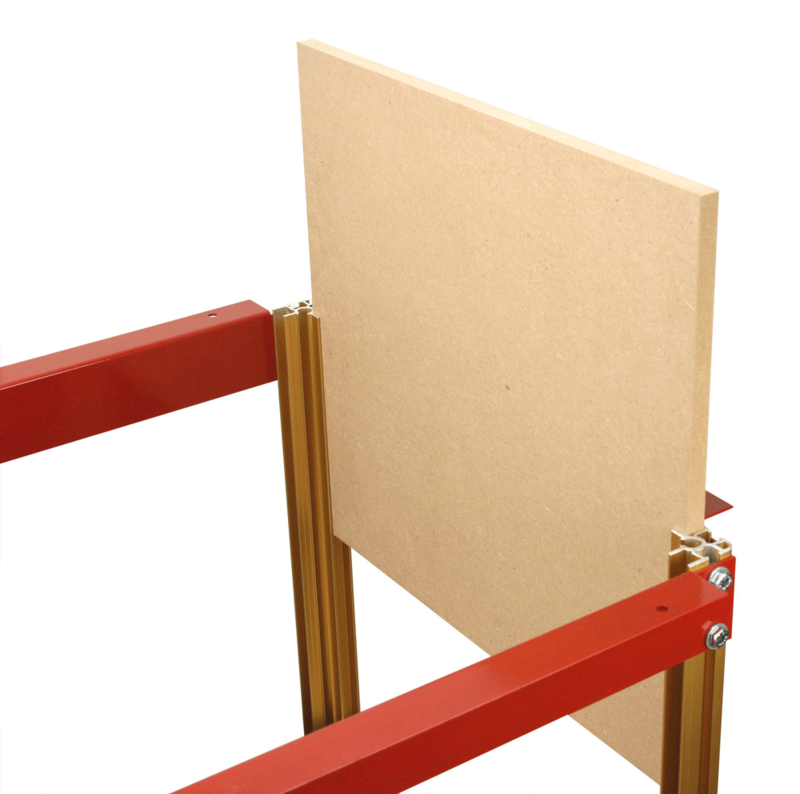 Channeled legs accept 1/2" panels to easily enclose the stand. Non-skid leg levelers with 2" of height adjustability. 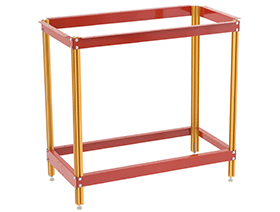 Click to download Router Table Stands Instructions in PDF format. Click to download INCRA Router Table Stands Video in Windows Media format.